Welcome to our new issue! If you’re headed to Prague this autumn, take a peek at what the season brings. While the undisputed highlight will be the celebrations of the 100th anniversary of Czechoslovakia's founding, the coming weeks and months will also feature the spectacular retrospective of Abstract art pioneer František Kupka, the ever-popular Signal festival of light, the fashion and design Designblok fair, the jazz-plus Strings of Autumn music festival, and, finally, the ever-popular Prague Christmas markets. The rest of our issue is dedicated to the latest news and a selection of events scheduled for Spring 2019. Hope to see you in Prague soon! 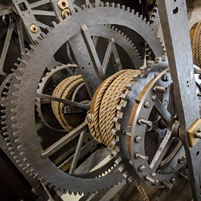 On 28 September 2018 at 6 p.m., the wheels and cogs of the Prague Astronomical Clock will be set in motion once again after a thorough repair and renovation, which has brought this beloved monument closer to its original historical appearance. In addition to the inner mechanism, repairs were also carried out on the clock’s external decorations and its apostle figures. The latter will once again commence their hourly promenade on top of each hour between 9 a.m. and 11 p.m., which you can observe either from the Old Town Square or from inside the Town Hall chapel. It’s only here that you can take a peek inside the oldest preserved astronomical clock in the world. More. 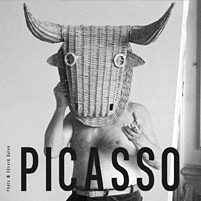 Picasso’s extensive Vollard Suite collection from the Museo Reina Sofia in Madrid represents a kind of private artist‘s journal. The etchings depict the time when Picasso‘s first marriage was breaking down and the beginnings of his passionate relationship with Marie-Therese Walter; they are also a type of meditation on the meaning of art. Created in the neoclassical style, the prints also reveal the deteriorating political situation in Europe at the time. In the aftermath, Picasso‘s most famous work, Guernica, was created. More. 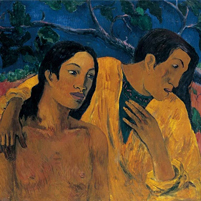 This new permanent exhibition outlining the rich and cosmopolitan artistic output of Czechoslovakia’s first twenty years (1918-1938) was assembled from National Gallery holdings complemented by long-term loans from other institutions and private collections. The exhibition isn’t limited to fine arts alone, but also covers book design, graphic design, and the decorative arts. More. The Prague half-marathon is a popular running event which will be held for the 21st time in 2019. The course leading along the Vltava River offers splendid views of the National Theatre, Vyšehrad, Charles Bridge, Prague Castle, and other iconic sights of the City of a Hundred Spires. And as always, live music will be on the programme, as well. More. 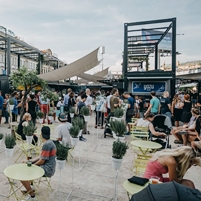 An innovative pop-up market combining street food with culture has grown between the Masarykovo nádraží train station and the Florenc bus terminal; as early as August, the New York Times noted its excellence. A total of 27 shipping containers play host to restaurants serving great burgers, fancy street food, Asian specialties, traditional Czech dishes, great coffee, sweets, and snacks. Add concerts, screenings, dance nights, workshops, and you have a hotspot no visitor should miss. It’s cashless, so be sure to bring plastic or your smartphone with a payment app. More. The 26th annual festival of largely feature-length films boasts a varied programme of award-winning movies from the film festivals of Cannes, Venice, Berlin, Toronto, and more. The different programme sections bear the titles Asian Perspective, Central Park, and Culinary Cinema. As Othello, Samson, Tannhäuser, and Peter Grimes, maestro José Cura has travelled the world. Now he is coming to Prague to sing these iconic roles over two evenings. He will be accompanied by the Prague Symphony Orchestra under the baton of Jacques Lacombe, chief conductor of the Bonn Opera. The National Theatre will present a new version of this immortal tale choreographed by John Cranko, founder of the Stuttgart Ballet, who created it shortly before his tragic demise. Cranko tried to capture the story’s romantic atmosphere and reconcile the concept‘s opulence with a degree of intimacy, choosing to shift the focus from Odette onto the character of the Prince with all his strengths and weaknesses. The 25th annual Czech Dance Platform is a festival highlighting remarkable performers from both the domestic and international dance scenes. The programme also includes site-specific projects, meet-the-artist events, a choreography forum, and more. Marketplaces decorated with painted eggs and natural materials, easter goods and gifts, Easter delicacies, song and dance performances, folk crafts you can try your hand at – all of this will put a little spring in your steps when you visit Prague’s Easter markets. During the 1930s and 1940s, America became a refuge for a number of prominent European composers, some of whom helped birth the American film music genre. The wealth and highly cultured environment of the ‘City of Angels‘ are the theme of a special concert conducted by the scion of a famous dynasty, the outstanding conductor and composer David Newman. Dvořák’s Stabat Mater oratorio is among the genre’s best-known and most powerful works. The spiritual work, composed to a text about the suffering of Christ’s mother, is particularly suited to Easter. In April, it will be performed twice by the Prague Symphony Orchestra led by Jac van Steen.